1. Who is considered to be the founder of EU ? 2. What were the founding member states of the EU? 3. How many official working languages are there in the EU? 4. Which are the institutions of the European Union? The European Council has the role of driving EU policy-making, and is headed by the President elected for 2 ½ years. The European Commission is the executive body of the EU and seeks to uphold the interests of the Union as a whole. The Court of Auditors checks the financing of the Union's activities. The powers and responsibilities of the EU institutions, and the rules and procedures they must follow, are laid down in the treaties on which the EU is founded. The treaties are agreed on by the Presidents and Prime Ministers of all the Member States and ratified by their parliaments. 5. What are three main powers of the European Parliament? Following the entry into force of the Lisbon Treaty earlier this year, Parliament is now a true co-legislator for the entire budget, meaning it fully shares responsibility with the Council of Ministers, representing the European governments, and is fighting to ensure that the funds made available will enable the EU to carry out its duties as citizens expect. Parliament exercises democratic control over all EU institutions, particularly the European Commission. It has the right to accept or reject the appointment of Commissioners, may submit no confidence motion against the whole Commission and the Commission is obliged to answer questions of the Parliament. 6. What are the main roles of the European Commission? Proposes normative acts in the Parliament and the Council; Administers and executes policies and budget of the UE; Its gardian of the Treaty ( together with the Court of Justice); Representing the European Union in international arena. 7. What are the responsibilities of the European Commission? The European Commission is the executive arm of the European Union. This institution is responsible for proposing legislation, implementing the decisions of the Parliament and the Council, upholding the Union's treaties and managing the general day-to-day business of the EU (implementing its policies, running its programmes and spending its funds). 8. How long is the rotating presidency of the Council of the EU? 9. Who are the members of the European Council? 10. What are the main roles of the Council of EU? The Council of the European Union passes laws, usually legislating jointly with the European Parliament. The Council co-ordinates the broad economic policies of the Member States. The Council defines and implements the EUs common foreign and security policy, based on guidelines set by the European Council. The Council concludes, on behalf of the Community and the Union, international agreements between the EU and one or more States or international organisations. The Council co-ordinates the actions of Member States and adopts measures in the area of police and judicial co-operation in criminal matters. The Council and the European Parliament constitute the budgetary authority that adopts the Communitys budget. 11. Who are the current key leaders (2011) in the European Union? 12. What is the EU representation in Kosovo? 13. Which institution is responsible for coordinating the activities related to the European Partnership in Kosovo? 14. Which are the main EU treaties and their date of signature? The Treaty of Rome, establishing the European Economic Community (EEC), signed in Rome on 25 March 1957, and entered into force on 1 January 1958. The Treaty establishing the European Atomic Energy Community (Euratom) was signed at the same time and the two are therefore jointly known as the Treaties of Rome. The Merger Treaty signed in Brussels on 8 April 1965 and in force since 1 July 1967, which provided for a Single Commission and a Single Council of the then three European Communities. The Single European Act (SEA), signed in Luxembourg and The Hague, and entered into force on 1 July 1987, provided for the adaptations required for the achievement of the Internal Market. The Treaty on European Union, which was signed in Maastricht on 7 February 1992, entered into force on 1 November 1993. 'The Maastricht Treaty changed the name of the European Economic Community to simply "the European Community". It also introduced new forms of co-operation between the Member State governments - for example on defence, and in the area of "justice and home affairs". By adding this inter-governmental co-operation to the existing "Community" system, the Maastricht Treaty created a new structure with three "pillars" which is political as well economic. This is the European Union (EU). The Treaty of Amsterdam, signed on 2 October 1997, entered into force on 1 May 1999. It amended and renumbered the EU and EC Treaties. Consolidated versions of the EU and EC Treaties are attached to it. The Treaty of Amsterdam changed the articles of the Treaty on European Union, identified by letters A to S, into numerical form. The Treaty of Nice, signed on 26 February 2001, entered into force on 1 February 2003. It dealt mostly with reforming the institutions so that the Union could function efficiently after its enlargement to 25 Member States. The Treaty of Nice, the former Treaty of the EU and the Treaty of the EC have been merged into one consolidated version. The Treaty of Lisbon was signed on 13 December 2007 and entered into force in December 2009. 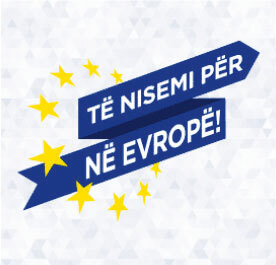 Its main objectives are to make the EU more democratic, meeting the European citizens expectations for high standards of accountability, openness, transparency and participation; and to make the EU more efficient and able to tackle today's global challenges such as climate change, security and sustainable development. The agreement on the Treaty of Lisbon followed the discussion about a constitution. A "Treaty establishing a constitution for Europe" was adopted by the Heads of State and Government at the Brussels European Council on 17 and 18 June 2004 and signed in Rome on 29 October 2004, but it was never ratified. 15. What are the criteria for EU membership? In 1993, the Copenhagen European Council, the EU launched a major step forward towards the enlargement process by declaring that "the associated countries of Central and Eastern Europe who wish to join the EU, will be able to become such. "In this way, the process of enlargement was not a question that dealt with the issue" if "will be done to achieve the expansion, but" when "this process will be done '. Regarding the period, the European Council stated: "The membership will be made once an associated country is able to assume the obligations of membership by fulfilling the required economic and political." At the same time, he defined the membership criteria which are often referred to as the "Copenhagen criteria". "  Ability to assume the obligations of membership by implementing policy objectives, economic and monetary.  Requirements for integration through the adjustment of the relevant administrative structures, so that Community legislation is transmitted to domestic legislation implemented effectively through appropriate administrative structures and judicial. The Madrid European Council in December 1995 also requested that candidate countries should create conditions for their integration through the adjustment of their administrative structures. It is very important that the transposed acquis communautaire into domestic law of each country. But more important is its effective implementation through appropriate administrative structures and judicial. This is a required prerequisite for EU membership. 16. What are the stages that a country must pass to join the EU? The European Commission proposed that the Western Balkan countries should spend in a Stabizim and Association process before entering the European Union. 1) The European Commission publishes a report on the feasibility of opening negotiations for Stabilization and Association Agreement. 2) formally opened negotiations for signing the Stabilization and Association Agreement. 3) Signing of the Stabilisation and Association Agreement is effective ad interim. 4) The ratification of the Stabilization and Association Agreement by the Parliament. Stabilisation and Association Agreement ratified also by the European Parliament and of each member of the European Union. 5) The application for EU membership. 6) The European Council asks the Commission to prepare an opinion on the opening of accession negotiations. The Commission supports the draft opinion on the questionnaire responses that represents the country that will join the Commission. The questionnaire is a tool which facilitates dialogue with the European Commission to develop the country's authorities to be a member to see if this country is ready to undertake the rights and obligations of EU membership. Expected Answers should be as concrete as possible so that the Commission to assess independently the right situation and level of implementation of reforms. It covers the political criteria for EU membership (covering issues such as democracy, rule of law, human rights and protection of minorities), economic criteria (existence of a market economy and ability to cope with pressure in an economy EU) and as all areas of EU legislation that grouped into 31 chapters. Answers to these questions should provide the necessary material that will help the Commission to analyze whether the country is ready to assume the obligations related to membership. 7) If the European Commission's opinion is positive, the Council requires a negotiating framework with a view to opening accession talks (the country of the candidate status). Once the candidate country becomes, begins negotiations on all aspects of membership in the EU, including 31 chapters of the acquis communautaire. 8) From the moment of accession until the negotiations, the Commission monitors the current progress of the candidate in preparation for membership. The Commission informs the Member States and candidate countries for assessment that makes us constantly. For regularly published reports. 9) The European Parliament informed on the progress of negotiations and gives its consent to the Accession Treaty. 10) Each Member State must ratify the Accession Treaty. Usually, given the constitutional requirements of each country, requires an act of Parliament of the Member State which is preceded by a referendum. 17. What are the principles that guide the negotiations?  The fulfillment of political criteria is a precondition for negotiations. In case of violation of the principles of liberty, democracy, respect for fundamental human rights and implementation of the rule of law on which the European Union is founded, accession negotiations should be suspended.  Negotiations are based on the merits of each country, and their speed will depend on their progress in implementing the requirements for membership.  The main goal of negotiations is to ensure that each candidate is able to adopt the acquis communautaire in the national system and to implement it. In those cases where there are difficulties to fully implement the acquis communautaire in the moment of accession, the European Union receives some transitional period which should have a defined duration.  During the accession negotiations, the European Commission which monitors the current progress made by candidate countries, based on the realization of the "Copenhagen criteria".  Accession negotiations begin with the "screening process" which is a more detailed analysis of the legislation of the candidate identifying which national legislation should be harmonized with the Acquis Communautaire. This process aims at explaining and providing preliminary indicators of the issues that will arise during negotiations. The EU provides focused pre-accession financial aid to candidate and potential candidate countries. This financial assistance is made available both to individual and multiple beneficiaries. It is intended to help these countries to introduce the necessary political, economic and institutional reforms to bring them into line with EU standards. Since 2007, both candidate countries and potential candidates have received focused EU funding and support through a single channel  the Instrument for Pre-Accession Assistance, or IPA. The total pre-accession funding for the period 2007 - 2013 is  11.5 billion. 19. What does Acquis Communautaire mean? It is a French term that represents a body of principles, regulations, political guidelines, practices and obligations that have been accepted through the consent of EU member states. The expression therefore denotes the entire legislation of European communities. Generally, it preserves its French form in all languages of the European Union, and is often abbreviated to acquis'. 20. What is visa liberalisation and which countries in our region have recently benefited from visa liberalization? Visa liberalisation means visa-free short-term travel to the so-called Schengen area. Visa liberalisation allows visa-free travel for up to 90 days only (every six months). Visa liberalisation grants only free travel, and not work permit or other benefits. Serbia, Montenegro, the Former Yugoslav Republic of Macedonia were granted the visa free regime in December 2009 and Albania and Bosnia and Hercegovina in December 2010. 21. What is the Stabilisation and Association Process? The Stabilisation and Association Process is the European Union's policy towards the Western Balkans, established with the aim of European integration. The aim of the EU through the Stabilisation and Association Process was originally to assure peace and security in the Western Balkan region serving as a promoter of democratic institutions by ensuring the enforcement of law. Another aim of the EU is to support countries in transition in developing a comprehensive market economy which is competitive and complementary to that of the EU. Moreover through this process the EU promotes regional cooperation between Western Balkan countries and supports countries in building the capacity and criteria for the approval and implementation of European standards, including the Acquis Communautaire and international standards. SAP puts common goals and economic policies for all Western Balkan countries, but progress made by each country within this process is measured individually. The countries that participate in SAP are subject to the transformational reforms aimed at consolidating democracy and the rule of law, as well as creating a functioning market economy through a gradual approach to Community legislation in their national law. 22. What is the Stabilization  Association Agreement? The Stabilization and Association Agreement (SAA) is an international legal agreement between signatory country and the European Union and is based mostly on the EU's acquis communautaire and predicated on its promulgation in the cooperating States legislation. Stabilisation and Association Agreements have been implemented with various Western Balkan countries which explicitly include provisions for future EU membership of the country involved.. The SAA are based on a progressive partnership, in which the EU offers a mixture of trade concessions, economic and financial assistance (IPA Programme) and contractual relationships (Stabilization and Association Agreements). 23. Which countries are included in the Western Balkans in the Stabilisation and Association Agreement and in what phase of the PSA are they? The Western Balkan region include Croatia, Albania, Macedonia, Bosnia-Herzegovina, Sebi, Montenegro and Kosovo. Kosovo has a secure future integration. The EU has repeatedly (most recently at the European Council of June 2008) that Resolution 1244 of UN Security Council envoy for Kosovo has a clear European perspective in coordination with the perspective of Western Balkan region. EU pledges to play a leading role in ensuring the stability of Kosovo through a mission of European Security Policy and Defence in the rule of law through his Special Representative and his contribution to international civilian office. European Commission provides recommendations on how to approach and how to achieve objectives that Kosovo has placed the Council in the European Partnership for Kosovo. Croatia has been a candidate country for EU membership since June 2004. Croatia was the second country to sign a Stabilisation and Association Agreement with EU on October 29, 2001. This agreement came into force on 1 February 2005. On October 3, 2005, the EU decided to open accession negotiations with Croatia. On February 12, 2008 Council adopted the new Accession Partnership for this country. Macedonia became a candidate country for EU membership in 2005. On February 18, 2008 Council adopted the Accession Partnership for this site, updated the previous European Partnership in January 2006. An Agreement on Facilitation of Visa Issuance and Readmission Agreement with the EU has been in force since January 2008. SAA to this land was signed on April 9, 2001 and it entered into force on April 1, 2004. An Interim Agreement covering trade related issues, has entered into force in June 2001. 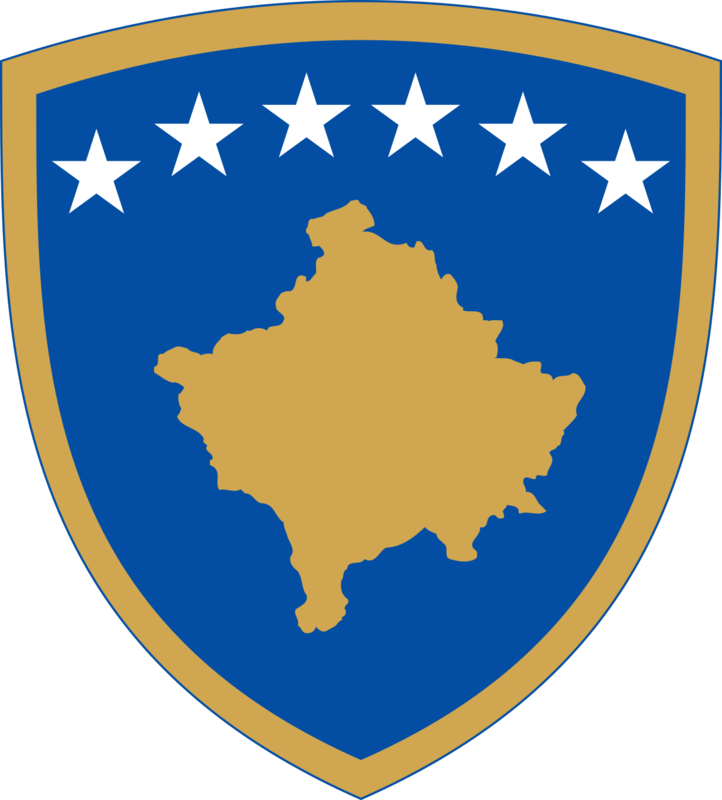 Bosnia and Herzegovina is a potential candidate for EU membership by the Thessaloniki European Council of June 2003. On June 16, 2008 The EU and Bosnia and Herzegovina signed the SAA, which will enter into force after ratification process. An Interim Agreement that was signed on the same day, entered into force on July 1, 2008. 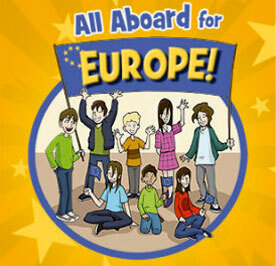 The European Commission launched a dialogue on visa liberalization on May 26, 2008. A new European Partnership with Bosnia and Herzegovina was adopted by Council on February 18, 2008. On January 1, 2008 entered into force Agreements Launch Visa Facilitation and Readmission. The EU continues to be present in this country within the framework of the Common Foreign and Security Policy and European Security and Defence. Montenegro is a potential candidate for EU membership. His perspective was reaffirmed by the European Council in June 2006 after the recognition by member countries of the EU. On October 15, 2007 Montenegro signed the SAA and Interim Agreement. The latter came into force on 1 January 2008, while the SAA will enter into force after ratification process. A European Partnership with Montenegro was adopted by Council on January 22, 2007. The Montenegrin government adopted an action plan for implementation in May 17, 2007. Agreements between the EU and Montenegro on the facilitation of issuance of visas and readmission entered into force on January 1, 2008. Serbia is a potential candidate for EU membership in the wake of the Thessaloniki European Council of June 2003. On 29 April 2008 the EU and Serbia signed the SAA and Interim Agreement. On January 1, 2008 entered into force Agreements Facilitation of Visa Issuance and Re-admission between Serbia and the EU. On February 18, 2008 Council adopted the new European Partnership for Serbia. 24. What is EU's Single Market? The single market is one of the European Unions greatest achievements. The enabling instrument for the single market was the Single European Act, which came into force in July 1987. Restrictions between member countries on trade and free competition have gradually been eliminated, with the result that standards of living have increased. The single market is supported by a number of related policies put in place by the EU over the years. They help ensure that market liberalisation benefits as many businesses and consumers as possible. 25. What is the CBC project? The Cross Border Cooperation Project is a European Union funded project. The main goal is to promote and establish cross-border cooperation and socio-economic integration between Kosovar border regions and adjoining regions in neighbouring countries by strengthening economic, social, environmental and cultural ties. 26. What is European Partnership? European Partnership is one of the instruments which came out of the Thessaloniki Agenda in order to support the reform process in Western Balkan countries and to bring them closer to the EU. Partnership began to be implemented in 2004. This process involves identifying short and midterm priorities which must be addressed by countries aspiring to enter the EU, something which assists them in reforming and preparing for membership. European Partnership has as its goal supporting the attempts of the Western Balkans to achieve the accession criteria for the EU (Copenhagen Criteria). It offers coherent structures of necessary reforms, as well as an accompanying financial framework. The countries included develop plans in the form of a schedule of reforms and details regarding measures which they are expected to undertake to address requests for further integration in the EU. These Partnerships offer a framework including priorities deriving from an analysis of the condition of each partner, and on what basis more intensive preparations must be made to achieve the criteria defined by the European Commission. European Partnership is reviewed regularly on the basis of progress achieved by each country and new priorities are assigned when necessary. The European Council decides on the principles, priorities and conditions that should be part of European Partnership and accompanying interventions. 27. What is European Partnership Action Plan (EPAP)? The European Partnership Action Plan (EPAP) is the key midterm planning document of the Kosovo Government that aims to define necessary actions for implementing the European agenda and progress in Kosovos integration in the EU, in accordance with priorities identified with European Partnership. The content and structure of the plan is represented in the form of a presentation of reforms undertaken with regard to the legal and institutional framework in the short-term and mid-term and in activities planned to address the challenges of the Progress Report in the previous year. Through this process the EU assists and serves as a guide for each country in its development, so that when it becomes a full member, it is already in a position to fulfill European standards, making it possible for it to play its role as a member with full rights and obligations. In the context of SAP negotiations, the EU offers these countries trading concessions, economic, technical and financial aid, and contractual relations. In this process, the preparation of each country for membership is measured on the basis of the fulfillment of obligations decided in the Copenhagen Criteria (1993) and those of Madrid (1995). The capacities for taking on board the duties of membership, especially in accordance with the objectives of political, economic and monetary union. This in particular requires that each country create the conditions for its integration through developing its administrative and legal structures to a level that secures not just integration of the Acquis in national legislation (transposition), but more importantly, its implementation in an effective manner (European standards). The progress of each country toward fulfilling these criteria is regularly monitored and presented in annual Progress Reports for each country, which assess how ready they are to move closer to the EU. Its instruments were formulated in the Zagreb Summit (2000), and amended further in the Thessaloniki Summit (2003), which put into action a series of new instruments for the fulfillment of reforms in Western Balkan countries in order to move them more quickly to the EU. The key SAP instruments are European Partnership, which the EU offered each country of the Western Balkans from 2004, and in which short and midterm priorities were identified to fulfill the goal of reform implementation and preparation for EU membership. Up to now, Croatia, Iceland and Macedonia have achieved candidate status, while Albania, Bosnia and Herzegovina, Kosova, Montenegro and Serbia are potential candidates. Political dialogue, including Plenary Meetings of the STM (two or three times a year). In these meetings, jointly chaired by the highest authorities of the Kosovo Government and the European Commission, the two partners discuss their achievements in fulfilling the European Partnership and completing planned reforms, and they agree on priorities for the forthcoming period. From March 2003 to June 2009, 16 meetings have been held. Technical dialogue, within which Sectoral Meetings of the STM have been held (once or twice a year), in six sectors: good governance, economy, internal market, social innovation and cohesion, infrastructure, agriculture and fishing. In the context of sectoral meetings, civil servants of Kosovos institutions and those of the European Commission discuss in detail the priorities and concrete activities for each sector, which makes it possible for the EC to offer the Kosovo administration advice and guidance on structural reforms in accordance with EU norms and standards.The main goal of these political and technical meetings is that the European Commission follows and monitors reforms in Kosovo and the process of moving closer to the EU, especially regarding the priorities identified in European Partnership. Political and technical dialogue continues consistently in meetings in which the two parties work in implementing concrete priorities and activities agreed upon in the context of European Partnership for Kosovo. Up to now, the European Commission has offered Kosovo three documents of European Partnership ( 2004, 2006 and 2008), of which the latter is now being implemented. The authorities of the Republic of Kosovo are implementing the short-term priorities (2 years) and mid-term priorities (4 years) foreseen in European Partnership through the European Partnership Action Plan (EPAP). 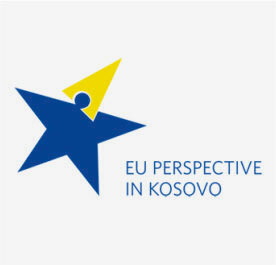 After completing the Kosovo Feasibility Study (during all of 2009), in November 2009 the EC published its Kosovo Communication  Fulfilling its European Perspective, on the basis of which the Process of Stabilization and Association for Kosovo progressed from a Stabilization and Association Tracking Mechanism (STM) to Stabilization and Association Process Dialogue (SAPD). The framework of the SAPD started to be implemented at the beginning of 2010. 31. Which institutions are involved in inter-institutional cooperation on European Integration Process? NPISAA is the key national strategic document for implementation of the European agenda until Kosovo’s full membership to the EU. As such, this program shall replace the current document, namely the APSAA, and shall therefore cover a longer-period and be more comprehensive. Specifically, NPISAA shall cover a five-year period 2016-2020, and focus in three strategic aspects of EU accession: implementation of the SAA, fulfillment of mid-term criteria of the Feasibility Study 2012, and transposition of EU legislation, foreseen in all chapters of the Acquis. 33. Which are the government structures that coordinate the European agenda of the Government of Kosovo? g) Executive Commission on Internal Market. Ministerial Council for European Integration.